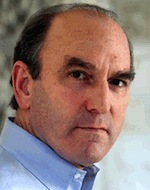 Elliott Abrams spotlights some of the most important books for understanding the past and current conflicts in the Middle East. So much is happening now in the Middle East that one could happily spend all one’s time reading good books about it. But here is a list of some of the best books, covering a bit of the history and current developments. 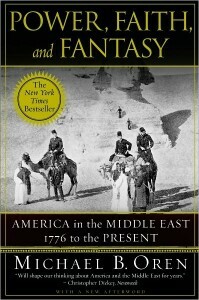 Power, Faith and Fantasy, a history of American involvement in the Middle East by Michael Oren (a historian who is now Israeli ambassador to the United States). The Road to Fatima Gate by Michael Totten, a reporter’s fascinating account of Lebanon’s recent history and especially the story of Hezbollah. On the same subject, I very much liked A Privilege To Die, by Thanassis Cambanis. This is an analysis of Hezbollah and its role in Lebanon by The New York Times correspondent in Beirut. The Struggle for Egypt by Steven Cook, my colleague at the Council on Foreign Relations that is a history of modern Egypt right up to the overthrow of Mubarak. For a wider look at the Arab Spring and the clash between Islam and democracy, try The Wave: Man, God, and the Ballot Box in the Middle East by Reuel Marc Gerecht—which by the way takes an optimistic view. The Mantle of the Prophet by Roy Mottahedeh is a classic, updated in 2008, about revolutionary Iran. 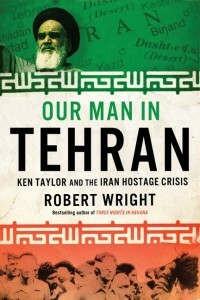 Our Man in Tehran by Robert Wright , tells the story of how Canadian diplomats rescued Americans during the Iranian hostage crisis of 1979 (and is the basis for the movie Argo). Inside the Kingdom: Kings, Clerics, Modernists, Terrorists, and the Struggle for Saudi Arabia by Robert Lacey, the classic account (updated in 2010) of life, royalty, and politics in Saudi Arabia. Another very good book (but a denser read) about the kingdom is Awakening Islam: The Politics of Religious Dissent in Contemporary Saudi Arabia, by Stephane LaCroix, explaining the intersection of political and religious dynamics there. What Went Wrong? : The Clash Between Islam and Modernity in the Middle East by Bernard Lewis was written in 2003. Lewis is the dean of Middle East historians and this is a brilliant effort to explain Islam’s confrontation with the modern West. There are two very well-done, but very detailed memoirs, about American peacemaking in the Israeli-Palestinian conflict, Martin Indyk’s Innocent Abroad: An Intimate Account of American Peace Diplomacy in the Middle East and Dennis Ross’s The Missing Peace: The Inside Story of the Fight for Middle East Peace. They cover the Clinton and George H.W. Bush years, and are in that sense precursors to Tested By Zion.